I recently had the chance to ride Brightline for the first time. 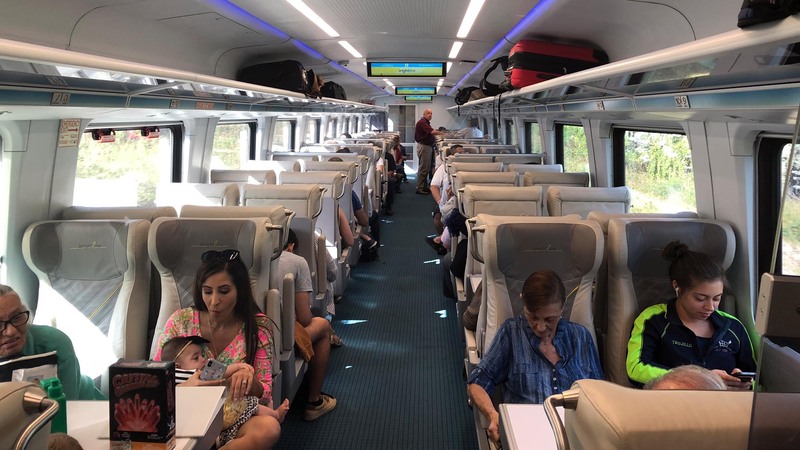 Brightline has turned passenger rail in the United States upside down by doing one seemingly obvious thing: defining what it wanted to do—its ideal scenario—then finding a way to make that happen. Too often, efforts to begin or expand passenger rail in the U.S. get off on the wrong foot by first outlining what isn’t possible. Once all the constraints and barriers are in place, you’re not left many options, and certainly not great ones. Brightline, instead, started with its advantages, like an existing rail corridor, and real estate development possibilities. It then set out goals, like frequent service on modern trains, and did what was necessary to make it happen. In some cases, they weren’t sure how they were going to achieve their goals, but they proceeded with confidence nonetheless. 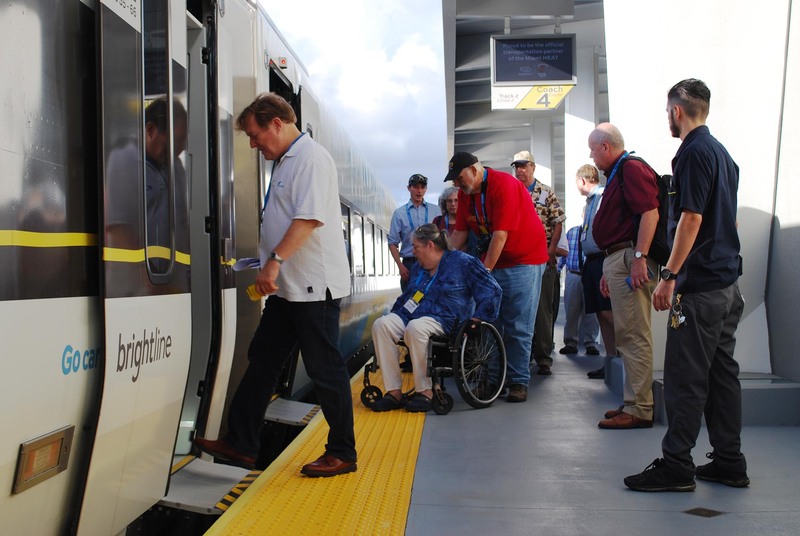 Brightline began service with many trains every day, which is crucial. Often, new services plan to start with only one or two trips a day, hoping to scale up in the future. Instead, they see underwhelming ridership as a result of the limited schedule. 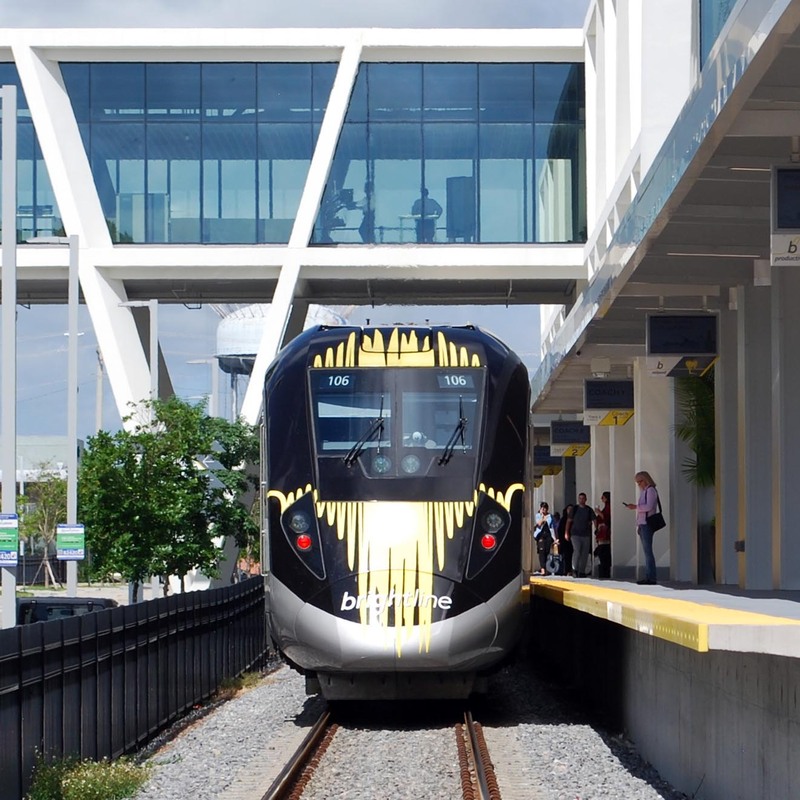 Brightline understands that the convenience of a frequent schedule is a major part of the “will I take the train?” equation. Proving that point, I noticed that even mid-day, off-peak trains were busy. 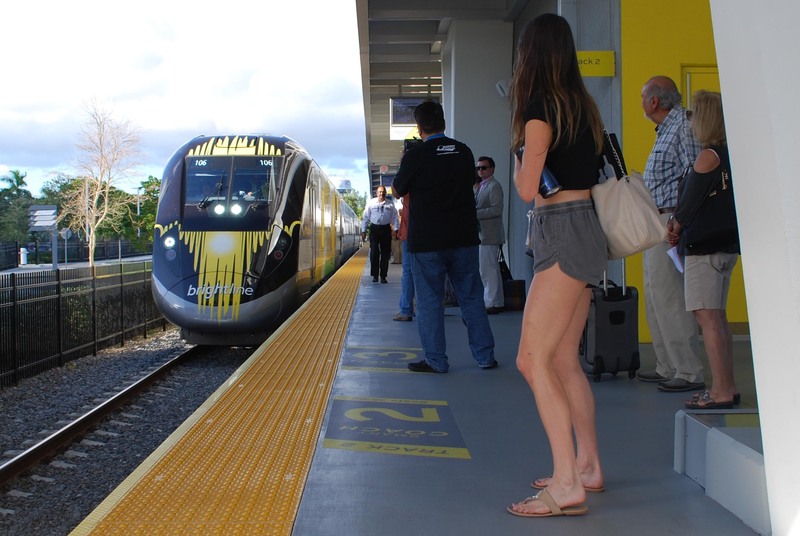 Brightline’s success is beginning to change attitudes towards passenger rail in South Florida. In recent years, a number of communities along Brightline’s planned northern extension to Orlando filed “not in my backyard” lawsuits. Now that people have experienced how nice it is to ride the train, one of those communities is changing its tune, and instead proposing possible station locations. 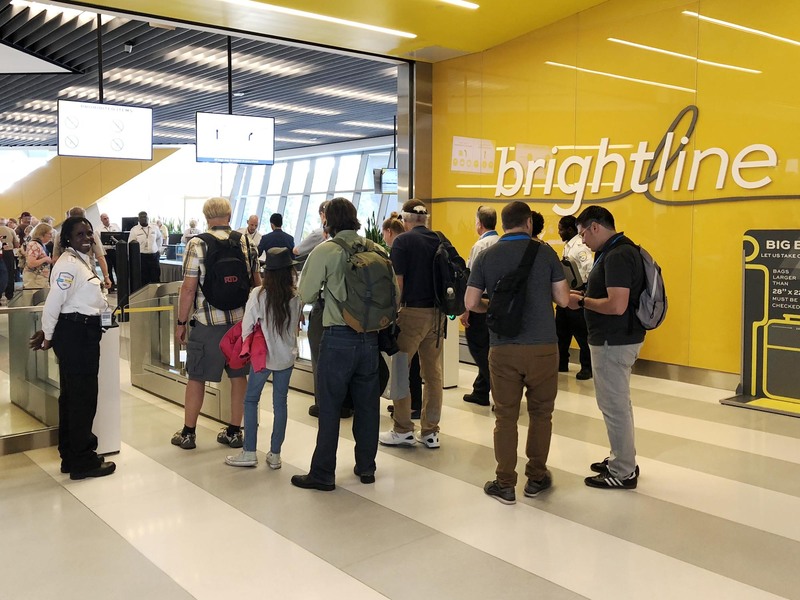 Brightline has already set its sights beyond Florida with its acquisition of Las Vegas service rights. 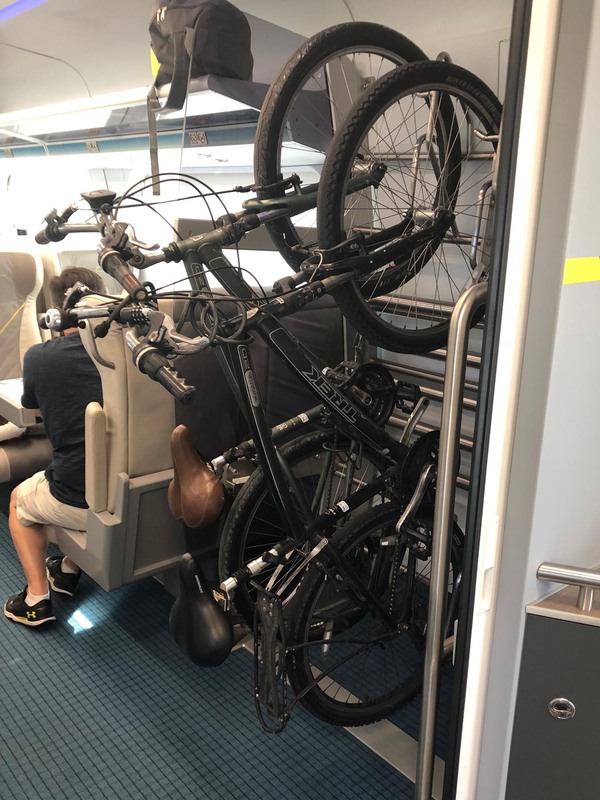 To bring fast, frequent and reliable trains to the Midwest, we’ll need to borrow some of Brightline’s confidence and apply their bold methods here.